As digital marketing advances, and data collection methods evolve in-step, greater expectation is being placed on platforms to deliver transparency, to provide better ways for advertisers to demonstrate definitive ROI from their social marketing efforts. In this new world, once accepted tracking methods like last-click attribution just won't cut it. For those unaware, last-click attribution credits the sale or conversion from your website to the "last click". So, if a person were to click on your Facebook ad, then go on to order your product direct from that landing page, your analytics system would attribute that sale to your Facebook ad. Makes sense, right? Except that's not how people work. It's pretty rare for a person in the modern age, with access to all the various comparisons and data points available via the World Wide Web, to click on one, solitary link then buy, right then and there. People look around, people research, people research on different devices - attributing your online advertising success to this one metric, and allocating your marketing budget accordingly, means you're likely missing out on a mass of other data points and referral pathways along the purchase journey. In fact, a Google study conducted back in 2012 found that of the 3,000 shoppers they studied, each of them took their own, unique purchase path. 3,000 people, 3,000 different journeys to conversion. But even though we know "last-click" is out-dated, it's still widely used by many analytical tools. Adding in additional data tracking can be complex, and many providers are still working to catch up to modern analytical capacity. To help with this, some social networks are now working to provide more in-depth metrics to help advertisers track the actual effectiveness of their ads. Facebook added 'Conversion Lift' metrics at the start of this year, which works with advertiser-provided data to show the impact on actual sales that your Facebook ads have provided. 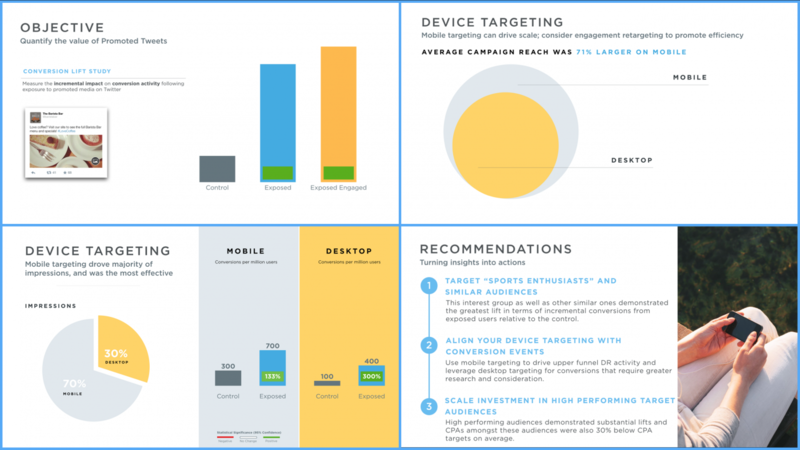 And now, Twitter's doing the same, providing their own conversion lift metrics to improve the accuracy of their data tracking and highlight the effectiveness of Twitter ads on the bottom line. "As all performance marketers know, understanding the incremental contribution of the clicks and views on your ad campaign is critical - particularly when you're running mobile or cross-device campaigns. Last-click attribution is an inaccurate reflection of what's driving results, because the average customer switches between multiple devices, platforms, and sites before making a purchase." "When measuring a campaign for conversion lift, we automatically and randomly segment your eligible target audience into two groups: one that sees your ads (the test group) and another that doesn't (the control group). At the end of the campaign, we calculate the incremental conversion lift of your campaign by comparing conversions across both the test and control groups, and then share this data with you in a custom report. The report offers valuable insights such as actionable targeting recommendations based on study results, conversion efficiency, transaction value lift gained through Twitter Ads, and more." Through this method, Twitter's able to provide more accurate reporting on what affect your ad content has had on each group - as shown in the image below, the report will examine the effect on those who've been exposed to your ad and engaged with it, those who've been exposed to your ad but not engaged, and compare that to those who haven't seen your ad at all. Given the focus, it's mostly larger advertisers who'll benefit from these new reports, but it's good to see the platforms going to more effort to provide additional transparency and clarity around the actual impact of their ad offerings, eliminating some of the grey areas from the ad-to-conversion process. What's more, as shown in the bottom right-hand box in the above screenshot, Twitter will also provide additional recommendations as part of their report, highlighting the ways in which advertisers can boost their ad performance. 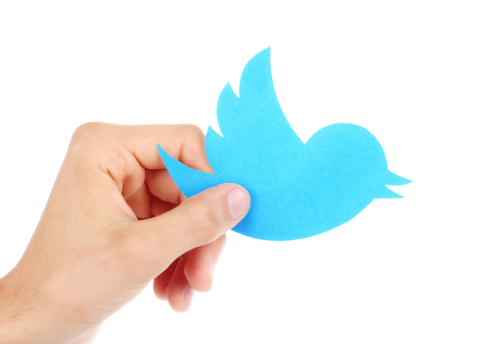 Twitter's conversion lift metrics can be applied to website clicks/conversions, mobile app installs and the quite specific area of 'mobile carrier switching conversion'. Twitter notes that they've already been seeing positive results in early tests of their conversion lift reports, with the data showing people who have been exposed to Promoted Tweets without interacting were 1.4 times more likely to convert. Those who have engaged with a Promoted Tweet meanwhile were shown to be more than 3.2 times more likely to make a purchase compared to the control group. Those are some positive numbers, and providing that level of accuracy will definitely be a great selling point for the new offering. Conversion lift reports will be made immediately available to all managed clients, worldwide, and while that may put them out of the reach of smaller advertisers, it's definitely a positive step for the platforms themselves to be putting more emphasis on ROI and highlighting actual ad performance. As noted in the introduction, traditional tracking methods are out-dated and largely inaccurate, providers need to progress towards more accountable and accurate solutions to advance social outreach to the next level in order to help businesses continue to improve and refine their marketing efforts. Metrics like conversion lift are a move in this direction, and while they may seem small in isolation, such innovations advance us towards the next evolution of social business.